SAS will open three new routes from Scandinavia to the United States in 2016. Scandinavian Airlines plans to hire about 80 new pilots and 280 cabin staff in the next few years. After a long period of financial struggles, lay-offs and austerity plans, the airline “seems to have gained new confidence and is making money again”, believes Jacob Pedersen, an aviation analyst at Sydbank. 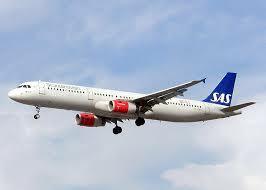 SAS is confident there will be enough customers to make the operation of the long-distance routes profitable. According to its director of operations, Lars Sandahl Sørensen, the routes – which will go to Miami from Copenhagen and Oslo, and to Los Angeles from Stockholm – have long been sought-after by companies and tour operators. SAS is, however, up against tough competition, including Norwegian Airlines, which also flies to Florida and Los Angeles.